Automate your business using On-Cloud or On-Premise based solutions. We provides CMS based websites for business. We develop bespoke solutions to meet individual business need. Mobile apps Development in Android, IOS and Angular & NativeScript cutting edge technology, for those customer who wants web as well as Mobile app presence in around 40% less time than traditional method. We provide Digital Marketing services to corporations to become leaders in search results and brand image building. Outsourcing can help you reduce your cost up-to 60% and let you grow in a fast pace. We are a leading software outsourcing company in India. We offer wide range of technological solutions that will suit your need. We provide best and dedicated software support & Maintenance services for existing CRM system, and for Web-Applications that will enable you focus more on your core business functions. Contact us for more details. It will be our pleasure to hear from you! We are software outsourcing company. Scideas is a Custom Software development and an Outsourcing company based in Delhi, India. We partner with businesses of all sizes across verticals such as Finance, Real-estate, E-commerce Life-sciences and Non-profits Orgs to provide them technology solutions to leverage their growth. At Scideas, we are determined on providing all technical needs that adds value to the client. We can assist you in structuring your raw ideas into innovative one, whether it is wildly sophisticated CRM systems or Web solutions/mobile apps, We engage with our Clients throughout the entire Life-cycle of Product Development including On-boarding, Marketing, Training and Maintenance. Our area of expertise is in ‘on cloud’ as well as ‘on premises’ based CRM application implementation along with Angular, HTML5 & Php based web development and Mobile Application development for Android and iOS. We believe in providing holistic approach to create innovative solutions for an increasingly demanding digital audiences. The mission of Scideas Solutions Pvt. Ltd. is to create a vast pool of service deliverability for the people across the world, help them to achieve their business objectives and to become the best vendor in this field. Out Vision is to develop a great place to work where people get inspired for contributing their part to the society and to become the company most known for changing the face of IT solutions and services. 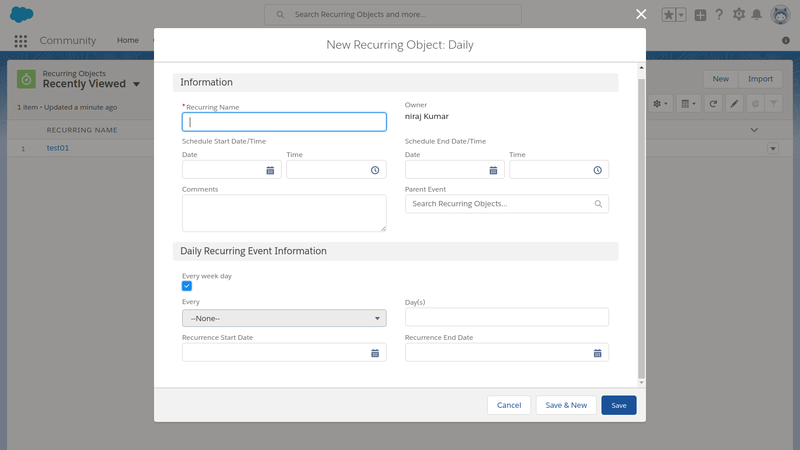 An app built with Salesforce to manage recurring records. 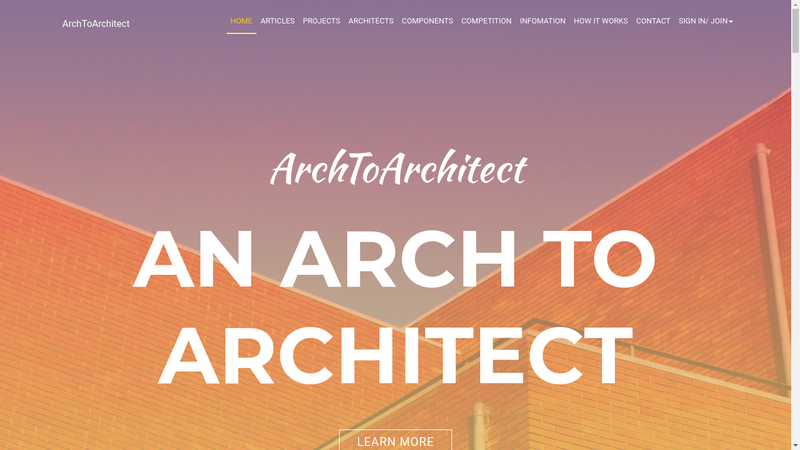 An Architects Portal for interaction and ideas sharing among them. 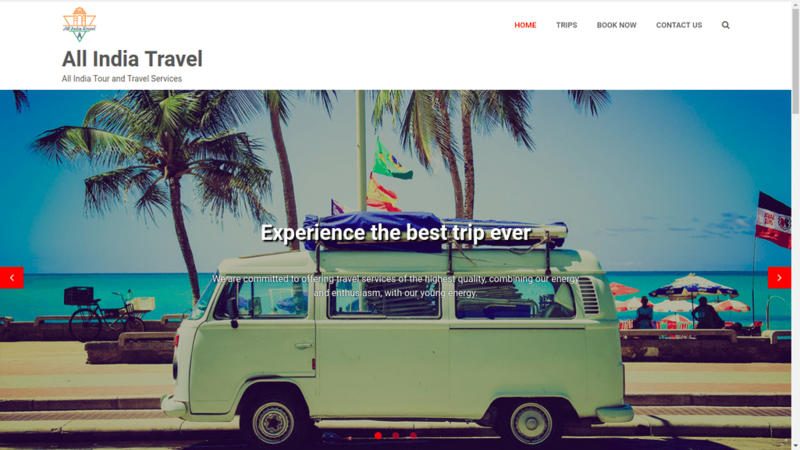 A wonderful website that manages Online trips across India. I would like to thank Scideas Solutions for providing me the best website solution with great content and SEO services for my catering business that make my reach to large number of customer base. I am happy with my choice of opting Scideas Solutions for development of my company’s website. Their team were very co-operative to work and helped me make my website the way I wanted. I appreciate the quality of work provided by Scideas Solutions. They co-operated with my highly busy schedule and completed my website on time and provided support too. Scideas Solutions understood my business requirements patiently, co-ordinated with regular demos and follow-ups and provided me the exact solution. Scideas Solutions has done a great job to make my business process online with a fantastic website that led me the easy management of my large clientele and trips listing. Thanks Scideas Solutions for all your help and support. We found Scideas solutions highly dedicated to meet our requirements and provided us the website within our budget and short span of time. Make Your Career Exciting With Us! Canada: #2-5895 Barker Ave , Burnaby , BC, v5h2p2, Canada.